Pressing the keys X and the dot. 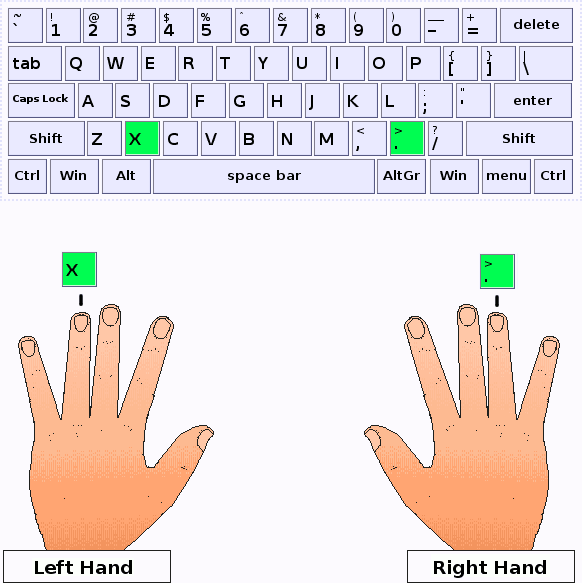 In this lesson of the typing course you will practice the keys X and '. '.